This entry was posted in 365 Day Photography Challenge and tagged 365 Photo Challenge, Autumn, lights, night, rain, reflection, Sturgis, water by Cyndi the BookChick. Bookmark the permalink. Awesome! One of my favorites for sure of your yearly photos. I love all the streams of color from the lights in this photo! Are you using Google+? There are a ton of photographers on there to follow for inspiration and to share your photos with. I love it! 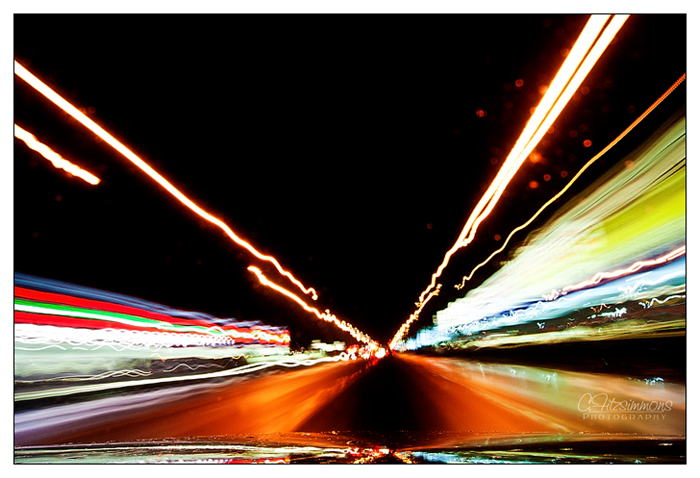 It was an 8 second shot on the dash of my car – I was pleasantly surprised with this one.